Visiting the Toy Fairs is a highlight of being in the doll business for me. All the new dolls for the year are shown for the first time and it is so very exciting. I can quite honestly say that through the dark cold Winter months with lots of Christmas orders to pack it’s looking forward to the Toy Fairs that keeps me going. I really look forward to seeing the dolls, meeting the owners and designers of the brands and then putting together orders for the dolls that I think you will like to see in the shop for the year ahead. Previously you may have read the Gotz and Kidz n Cats features from the Nuremberg Toy Fair but there are some other big brands I’d like to tell you about and one of these is Schildkroet-Puppen which is known by the international community as ‘Schildkrot’. The Schildkrot booth was huge and exceptionally well populated by the most beautiful of dolls, sculpted by well known German doll artists like Susie Eimer who has also sculpted for Gotz; Sieglinde Frieske and Brigitte Paetsch who are both artists for Zapf as well as many other well known names. 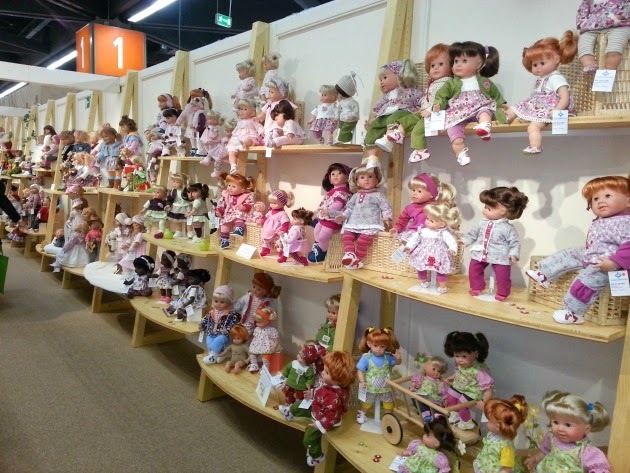 If you have read my previous article about the Schildkrot brand you will know much of its history and be aware that these dolls and all their accessories are produced entirely in Germany by the family run company. 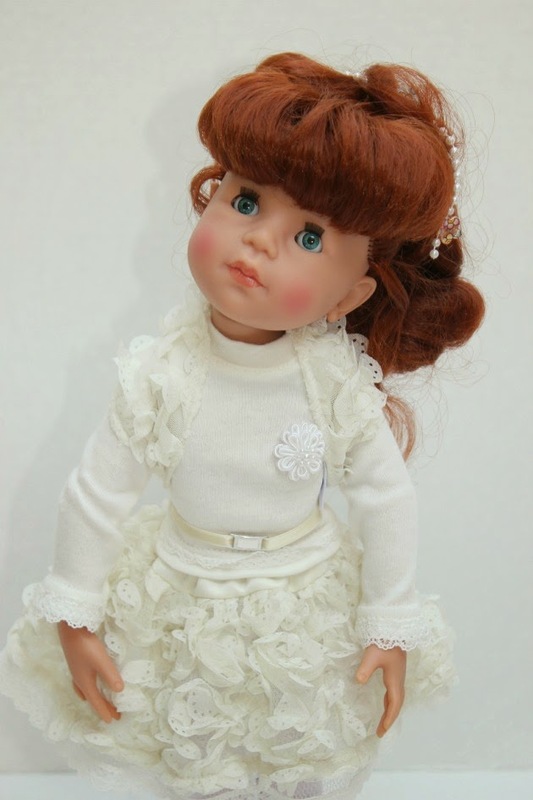 With labour costs and materials higher in Europe than most other parts of the world it is a wonder that a small company can deliver such high quality artist play dolls at such a reasonable price. This is the large Schildkrot booth at the Nuremberg Toy Fair in the photo you can see above. If you look through the window (in the photo above) on the far right underneath the German flags on the wall you will see the three jointed Schildkrot dolls on the top shelf that we stock at My Doll Best Friend. In fact all the Schildkrot dolls are all beautiful but what is special about these dolls is that they are jointed vinyl play dolls of 43cm/ 17″ in height that stand up unaided and pose wonderfully. 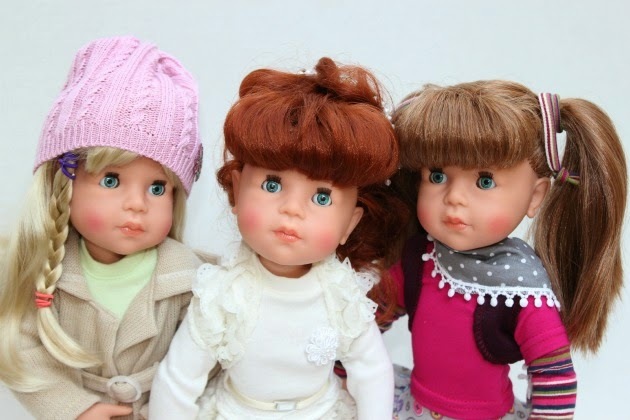 They therefore fit brilliantly into the niche of My Doll Best Friend dolls and we love them. We have stocked these dolls for a year and can see that you love them too! The lady on the left in the photo below (looking at us) is the hugely talented clothing designer for all the dolls you see in the photo- a very busy lady! The dolls on the left in the photo are the new dolls that are still made from the old moulds of the original traditional dolls from the Rhenish Gummi und Celluloidfabrik Company in East Germany in 1873 which Schildkroet-Puppen became. They were made out of celluloid which was revolutionary at the time. If you want to know why it was revolutionary then read the article I mentioned before.The man at the back in the suit and tie is the owner of the business. Here’s a close up of one of the dolls on the shelf but it was really high up so difficult to take a good photo. I just held my phone up high and hoped for the best. I love the flags above her head, ‘Hergestellt In Deutschland’: Made In Germany. 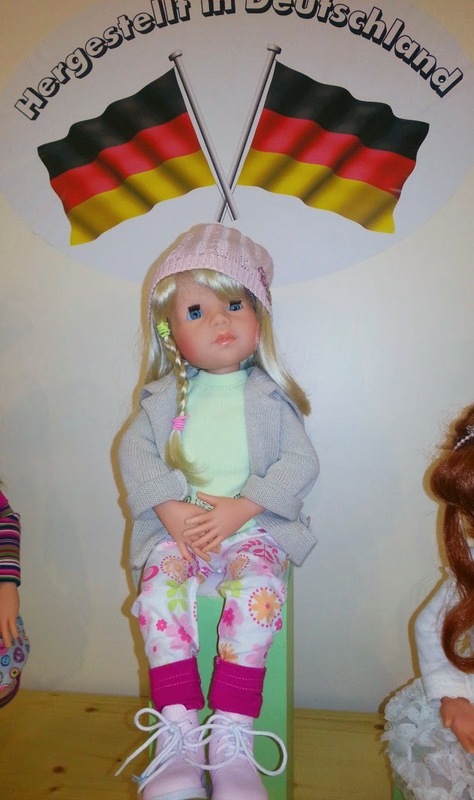 The 2014 dolls were ordered at the Toy Fair but as the fabric was still being made for their clothing, Schildkrot could not start sewing the garments until it arrived at the beginning of March. Our Schildkrot dolls arrived in stock two weeks later, made to order. Here are some sweet photos of the three girls. Oh look, they have some Easter bunnies to play with now! Just love these dolls. So cute and a nice size too. I hope Schildkrot bring them back one day! Adorable photos!